Gordon Elliott's Mengli Khan today had his odds halved from 14/1 to 7/1 for the Arkle Trophy at the Cheltenham Festival in March after a superb performance at Punchestown in the Beginners Chase over 2 miles, where he went on to bolt up leaving the field for dust. The Gigginstown owned five year old was a start price of 8/11 to take the spoils in Ireland and did not disappoint only making one error at the first fence, but after that got into a nice rhythm and cruised to victory under the ride of Davy Russell. At Punchestown the testing wind around the course meant that three of the fences along the back straight were taken out, meaning for a less of a test for the Grade 1 winning hurdler on his chase debut but he still went on to show a good round of jumping, leaving Russell to be able to stretch him away from second favourite Forge Meadow and take the contest by a clear 1 lengths. (Credit Racing Post) Trainer Gordon Elliott said: "When he had something to aim at he winged fences. Davy thought they weren't going quick enough down the back so he let him stride on and he jumped the fourth-last and third-last very well. "He got him in to pop the last two which he will have learned a bit from. It was no harm getting him to do that. I was happy with that and I thought it was a good performance. 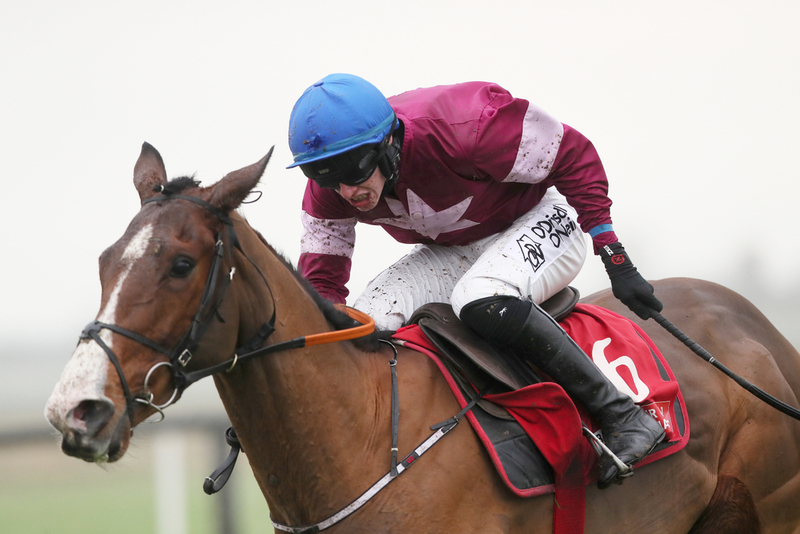 He took to that well and we'll go straight to Leopardstown [for the Grade 1 Racing Post Novice Chase on Boxing Day]." The five year old has not got the looks of a normal chaser and was once upon a time a good juvenile runner on the flat for Hugo Palmer which maybe lead the bookmakers to overprice the gelding at 14/1. After his run he was well and truly smashed into 7/1 leaving any punter who got on before the race with the bookmakers chewing feathers. He is now the third favourite to take the race behind favourite Lalor at 5/1 and second favourite the Amy Murphy trained Kalashnikov at 6/1.